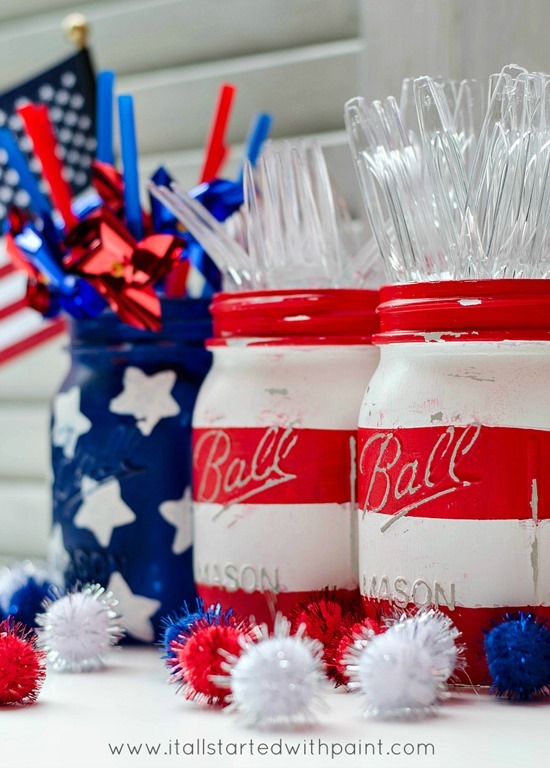 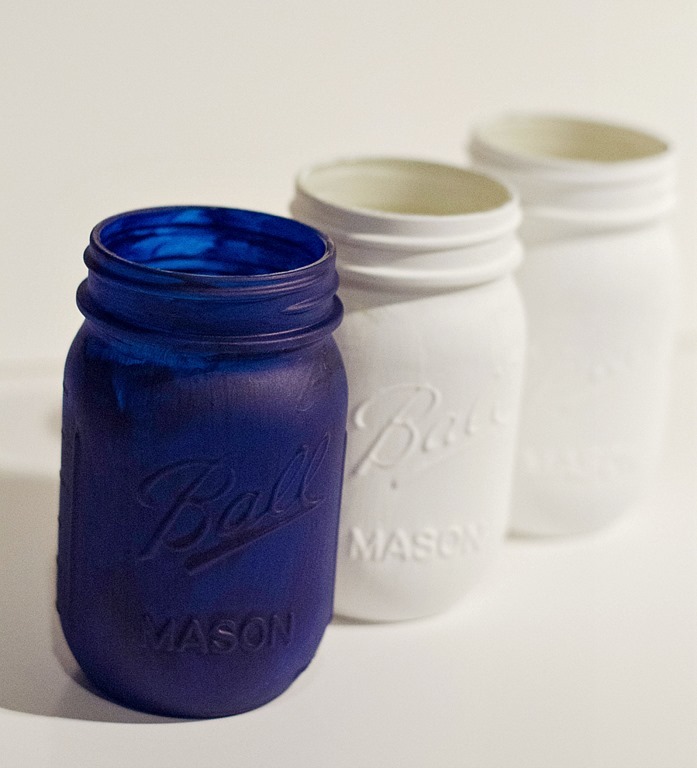 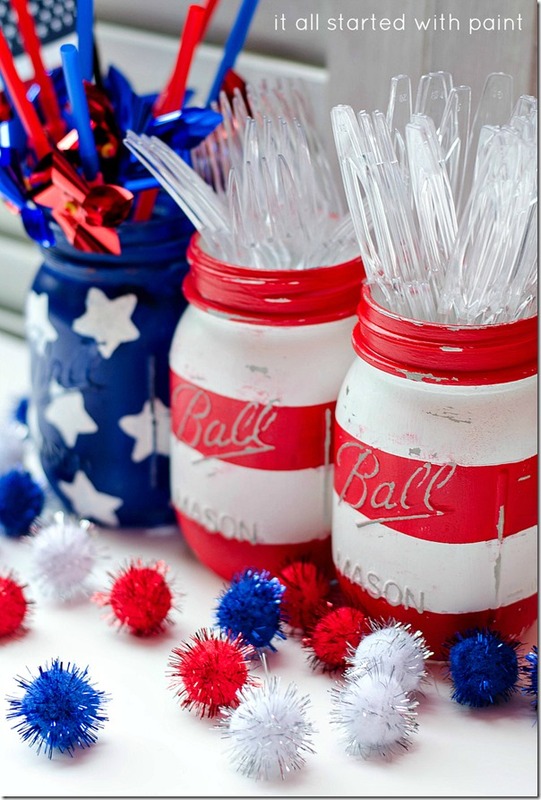 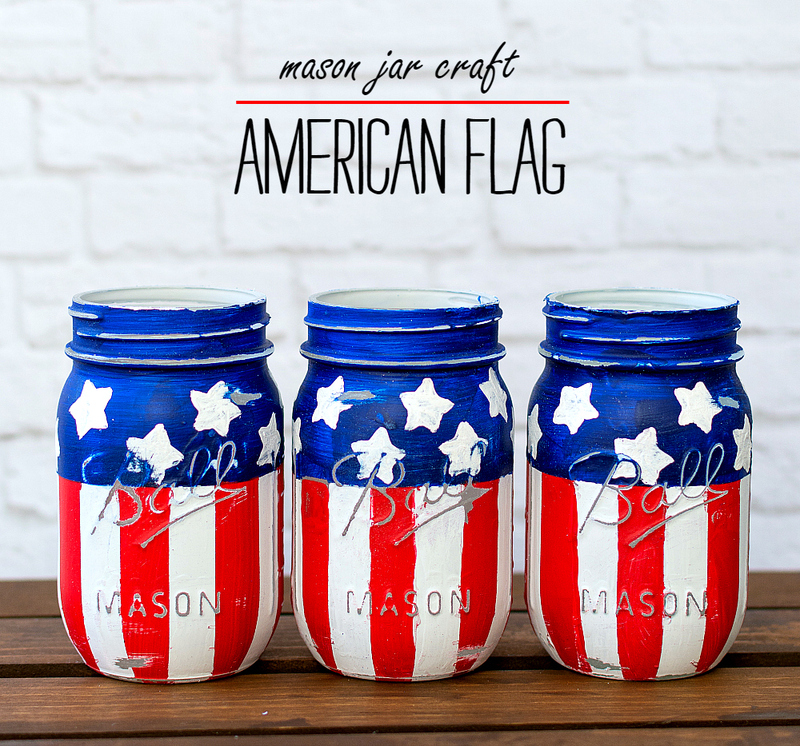 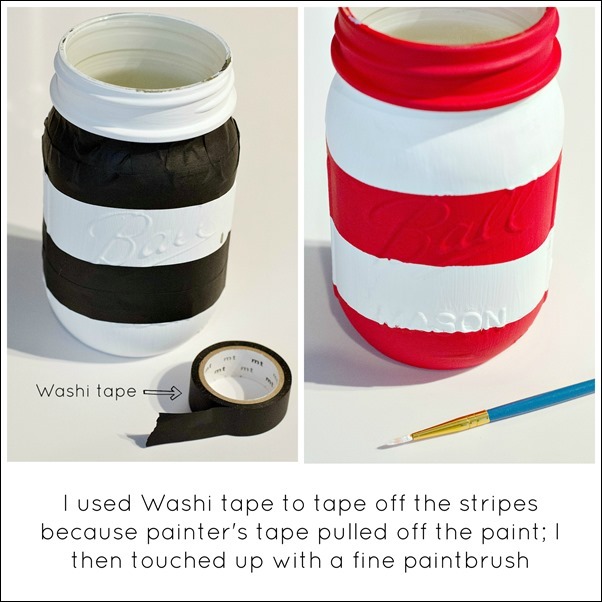 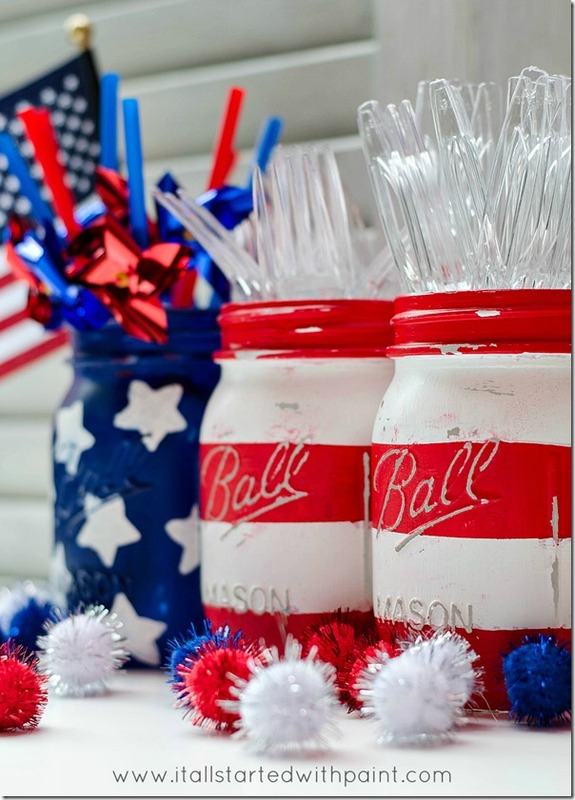 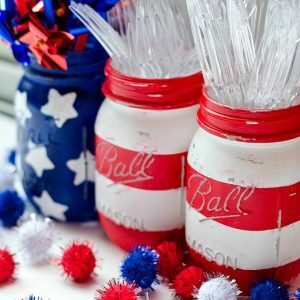 A tutorial on how to make American flag red white blue mason jars. 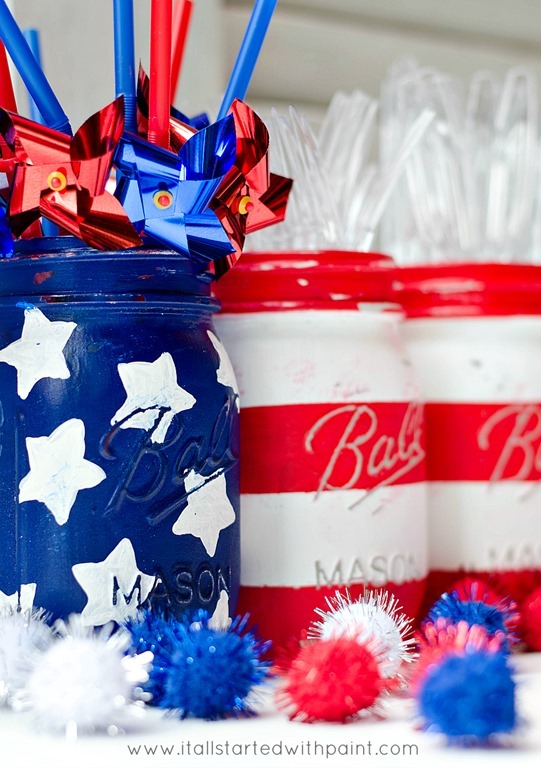 Did you ever invite yourself to a party? 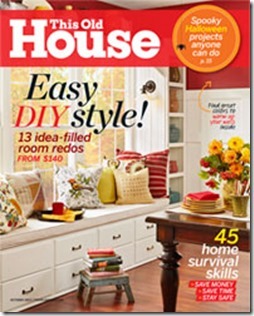 No, not that kind of inviting yourself. 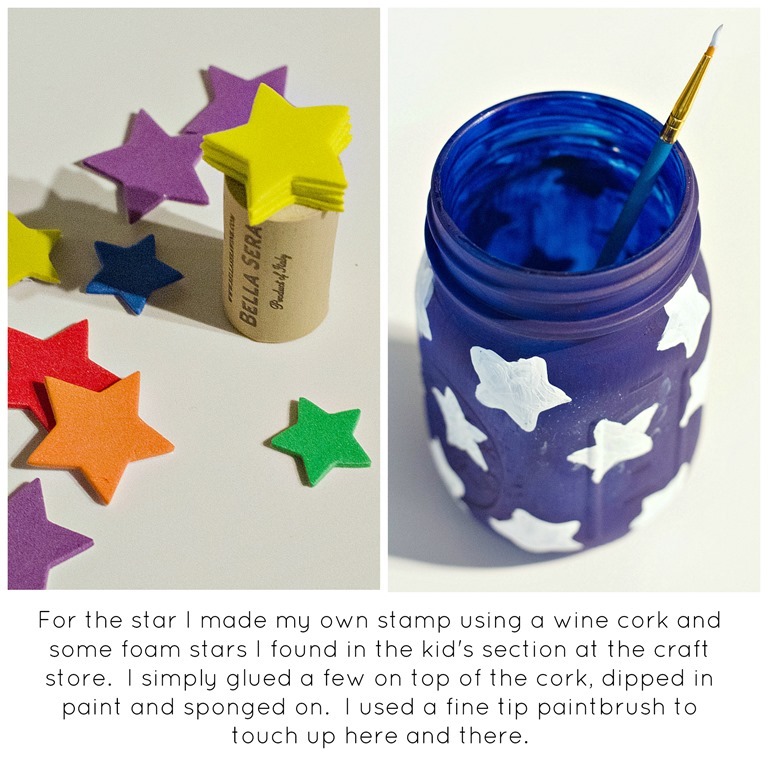 I’m talking about the brazen-put-someone-on-the-spot-with-a-direct-invitation-invite-yourself invite. 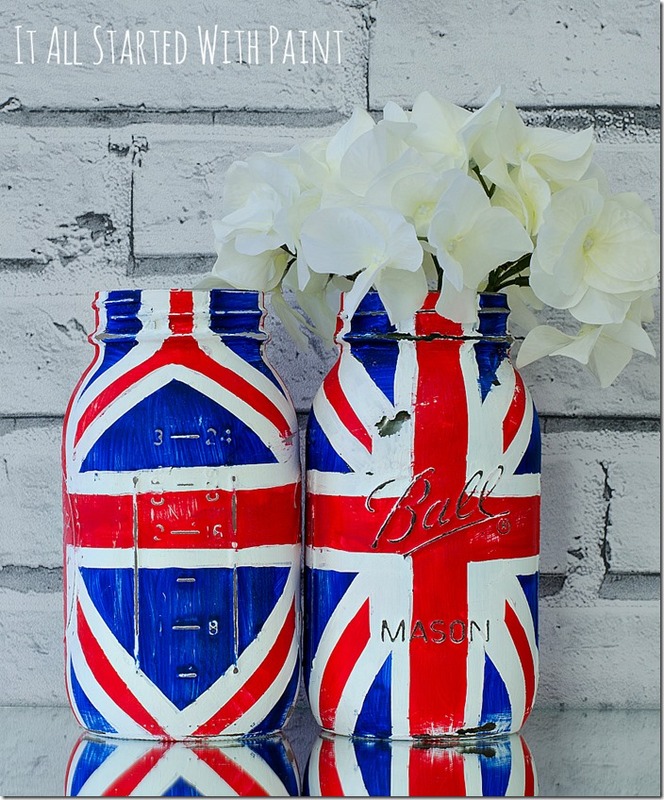 And the rest, as they say, is history …. 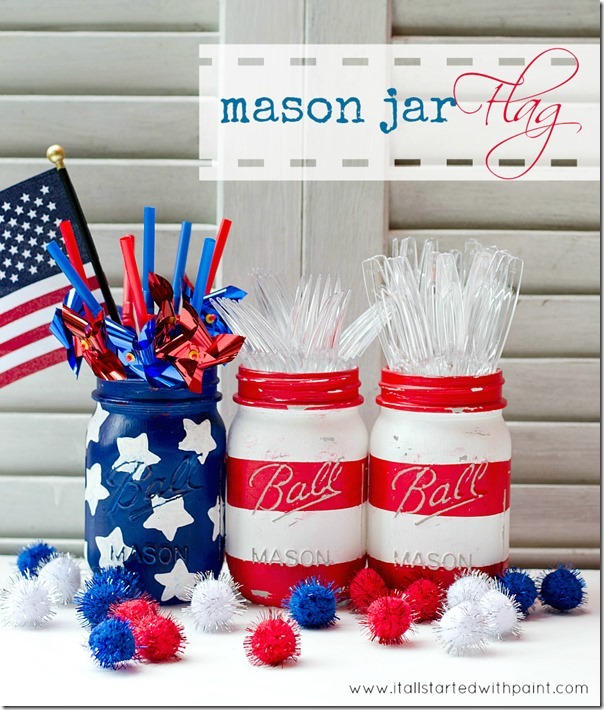 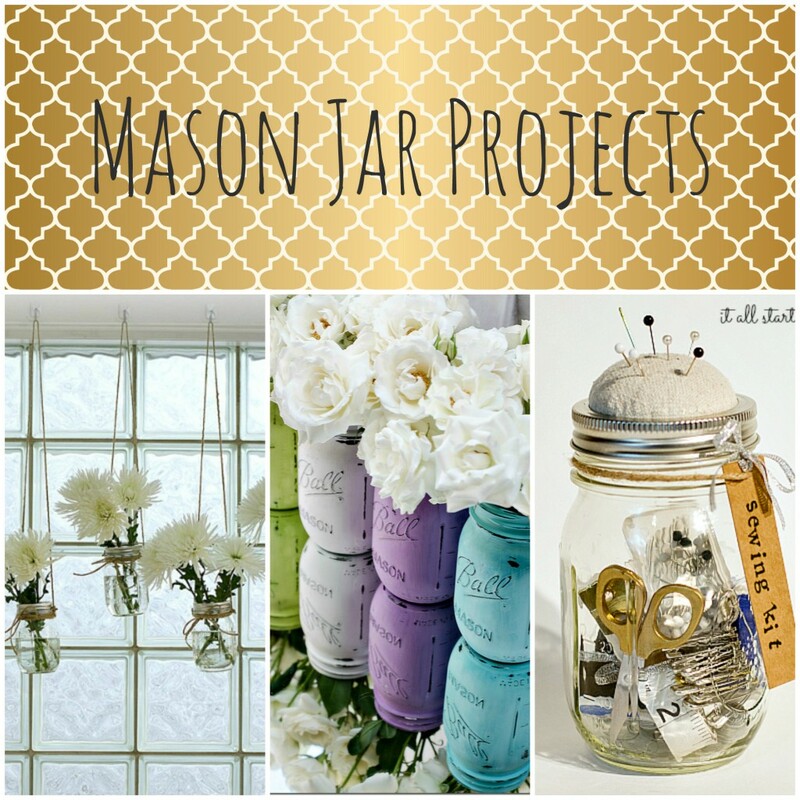 … with some red white blue mason jars. Of course. This time painted and distressed with stars and stripes. And put together to make an American flag.